If you start using safe natural products you will no longer be absorbing chemicals through the skin or breathing in the fumes. It’s a bit scary that studies have shown a link between toxic cleaners and asthmas, skin allergies, cancer and autism. If that’s not bad enough they can cause chemical burns to the skin and eyes, urgh no thank you! Children and pets have been known to get under the sink and into these toxic products which are poisonous if swallowed. 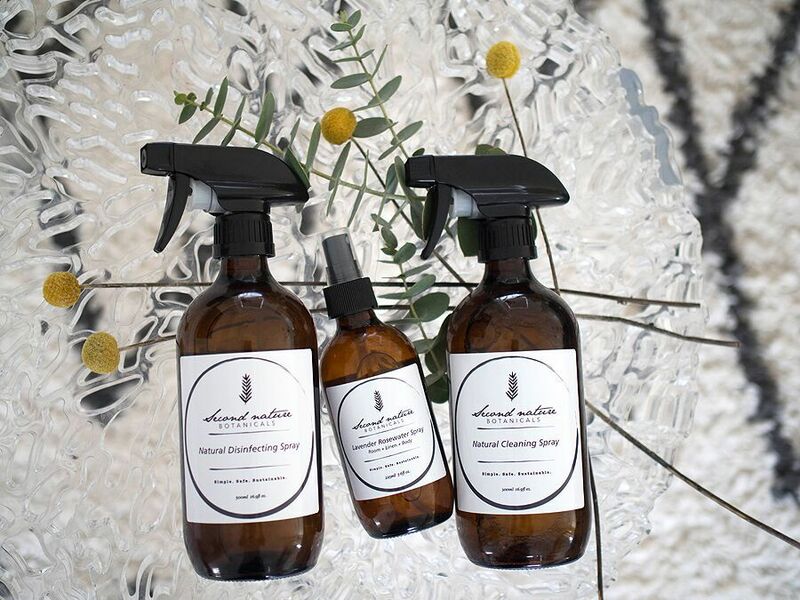 There’s a lot we still don’t know about how these toxic chemicals can affect our bodies, so this in itself is enough for us to make the switch to natural cleaners. That all familiar stench of pine that we've gotten used to as being 'clean'? Well it’s not so friendly my friends, its actually toxic and polluting the air in your home which can affect your breathing and lungs, possibly leading to respiratory problems. Automatic air-fresheners, aerosols and fly-spray are some of the worst culprits so best to get them out of your home ASAP. It’s best to stick to products with a natural essential oil scent, and benefit from the aromatherapy too! Look for green products that contain plant-based ingredients which are a million times safer. Plus we also love using green plants in our home to help purify the air as well as good ole fresh air so fling open those doors! Warning: this is a tad scary. Most supermarket cleaners DO NOT list any of their ingredients or risks, and this is unregulated by the government. So we don’t even know what is in them! We’ve gone behind the scenes to find out what is recommended before using the most common and popular all-purpose cleaner on our supermarket shelves: safety goggles, gloves, cotton overalls buttoned at neck and wrists, chemical resistant apron, and if there is no ventilation an approved respirator with a replaceable filter should be used. Really!? So we need to dress like there’s been a major apocalyptic event to be safely using these products in our own homes? We believe all ingredients should be clearly listed ON THE BOTTLE and if it contains toxic ingredients to include the risks and controls. That way we can make a conscious decision to use products in our home that are safe. The toxic chemicals can make their way back into our water systems when you flush the toilet, wash the dishes or chuck a load in the washing machine. The nasties can end up polluting in nearby rivers, lakes or ends up in our beautiful oceans harming our precious wildlife and ocean dwellers. Always choose biodegradable, grey water/septic safe at a minimum. Green and natural products offer better sustainable and eco-friendly options such as concentrates, refill options or use plastic that is made of sugarcane so is fully biodegradable (how green is that!?). They might also be carbon neutral, cruelty free or have a charity they support. Basically, they actually care about our planet and your health and we're all for that! It’s quick and easy to run to the shops and grab one of the many bright coloured bottles that line the shelves that promises to make your cleaning chores at home quick and easy but choose wisely! We hope you might reconsider switching to a natural eco-friendly alternative so you know you're doing all you can to keep your home and everyone in it safe, healthy and happy.